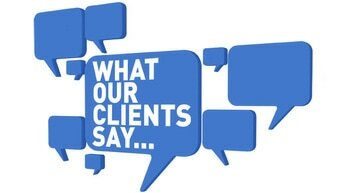 Client Testimonials - NuStar Insurance Agency, Inc.
"I had the same insurance for 20 years. The price had me paying $600 more than I should. NuStar is independent with access to a choice of carriers." "Dave has been taking care of us for all our insurance needs for years. I appreciate Dave's attentiveness to detail and annually without asking he reviews our coverage to make sure are with the right company and have the right coverage for our needs. I recommend all my friends & clients to Dave.